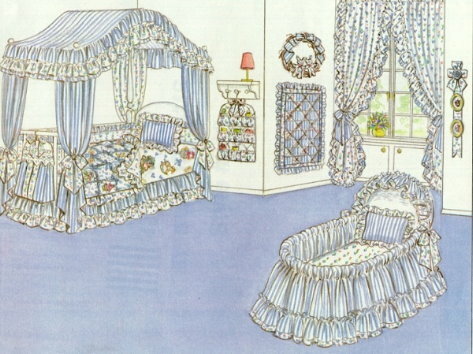 This pattern features everything you need to create a darling nursery for your baby! From bedding to curtains with lots of accessories to make a complete room for your little one! This pattern comes on nice, sturdy paper in a large 9x12" printed envelope.